In which me and several team members go over the new cards released in the newest set, Imprisoned Heralds. Featuring Tempys in the first of a four part series. Great Draft card. You can essentially deal damage to a creature as if this was blocking (The damage it does is equal to its attack), enabling a 2 for 1 as it leaves you with a small body if you block with another creature. Its good most of the time, but its terrible if you fall behind as not being able to block is a death sentence then. Great draft card. You can get aggressive with it in U/T, and there are plenty of other Tempys card that support aggression in the set. Coupled with big bodies from Uterra and Whispers of Dendris, it can be powerful. Big Guy is amazing in Draft just due its sheer size, might even see constructed play with its big body when open laned. Good in Aggro, although the level three is a little small. A 17/17 doesn't necessarily kill most creatures at level three unlike its earlier levels. An interesting card in Draft. It has a decent body at one, and the fact that it can get Aggressive can provide additional reach or the ability to kill a creature immediately. Ok in Draft with multiple targets for Upgrade. Although its Upgrade isn't really the main point of the card, 6/5 stats make its an acceptable Draft pick. Will not see the light of Constructed play as there are better options for Aggressive. Dislike it in Draft. While Aggressive usually applies pressure, you have to spend two cards, so unless you get value off replacing a creature, you won't apply pressure. A filler card that you pick when there are no better cards to pick, as his body is still acceptable, there are a ton of better cards, but you can pick this over Lysian Rain for instance. Average body at level one and above average body at two but then a below average body at three make this a bland and mediocre at best draft pick. A vanilla creature with a decent one, good two and mediocre three, not a first or even second rate pick in draft, will definitely not see Constructed play. I like Elementalist, it is a nasty card that you don't play in PL1. Usually not worth playing in level one even if you get value. An interesting utility card that can squeeze into decks that abuse mobility tricks. Weak body is not as relevant as its ability is non-gated. A 2-of in decks that include him, also good in draft similar to how Bramblewood Warrior is as a utility underdrop . Great in Stasis Warden decks period. Only the level one is terrible, but if you draw two of them in PL1 it can be great. Synergistic with Flambreak Invoker. Also the level one allows you to spilt damage between creatures. The level 2 and 3 are great but the terrible level one is a let-down. Good with decks that have card draw. There seem to be many cards that fulfil its role, and it works only on creatures, but it can work as it can spilt damage and activate Flamebreak Invoker twice IF you draw them together. A card that goes up in value if you drafted Emberwind Evoker or Frostfang Maiden, as you most likely get to trigger their effects twice with its high health. Otherwise a filler pick, not an actual aggressive card due to its low attack. First creature with both Aggressive and Mobility, will not see Constructed play due to its low attack. Ok in Draft, but otherwise bland and uninteresting. Can find its way in Draft. Can be used to push minutes amount of damage, but its low attack make me dislike playing it. Can combo with Frostmaiden to good effect due to its combination of Aggressive and Mobility. A card that you don't have to level that is synergistic with MoE/FS/Invoker. Also unlike Firestorm, it only affects your opponent's creatures. Has more potential than the other 'rank X' cycle of cards as it can be always played for free off the back of a levelled Flamesculptor or Master of Elements. Not sure if there's enough grow wide at the moment to warrant this however. Always useful with MoE/Flamesculptor, good card in draft as well. Its a versatile card, but not good enough to be of any thinkable use. Simillar to Metamorphosis, but its use cases are so far and few between that you can't reasonably put this in a deck. Can be used as a painful soft-gated Dreadbolt, or a bit of reach, but its a really odd card. Not good in both Draft and Constructed, while the effect is niche and the level three is free, you are never going to level it to three anyway. Also the only non-legendary card of the Set I don't have. I think it is and will be a bad card, even if it was un-gated. As it trades with a level one in its first two levels and any decently sized level two at 3, while this can be used to remove blockers, usually in an aggressive deck you want to open-laning creatures anyway. Furthermore, you usually want remove a threat pro-actively (Broodqueen, Ghox) before they become active. The fact that its hard-gated dampers its awesomeness, also there isn't anything in the metagame right now that needs to dragged over to be answered. Would have been an enabler of cards that benefited of direct damage, but Windweaver invalidates this card's role and then some. Best card of the set. Great stand-alone and improves a lot of cards. Easily the most powerful card of the set. Great stats, really really really good ability. Very flexible inclusion in decks. One of the reasons to play Tempys right now. Bonkers in Draft and a force to be reckoned with in Constructed. It enables a lot of plays and make several cards playable. The best part about it is that its ability is un-gated and has great stats, but I don't think it needs a nerf as it needs a board to be effective, in fact, if its ability was changed to being soft-gated, I don't think it will be played at all. Lavafused Asir is great, just waiting for a deck that uses it (Maybe with Saberfang :D). I think it can be effective in an aggro deck, namely MonoT with Rage of Kadras. Not convinced with its small body when blocked, but with some Windweaver shenanigans maybe? Very win more in the sense that it brings the pain when you are winning massively on board, but disappointing otherwise. Good under-levelled with Borean Windweaver, would probably only include it as 2 of in aggro decks, however. A card that strictly exists to combo with other cards. 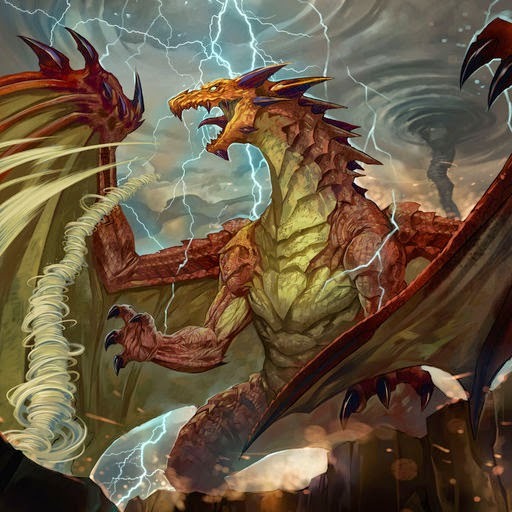 Lysian Shard, Oratek Explosives or a glorified Lightning Wyrm. Very situational, enables strong plays with the right cards/deck. A very niche card. Staff of Vaerus is great to push lethal damage or to trigger direct damage abilities, but is situational and needs active creatures. Enables a lot of creatures that previously fell to the wayside, such as Everflame Mystic and even Vyric Ebonskull, soft-gating makes it so that you don't have to level it aggressively, you just have to find value. The herald itself has a terrible body and crazy ability, so its effectiveness depends on your board. Good card, can push some big damage alongside Rage of Kadras, need to find value with the first two levels however. Level 3 can be huge. I think the card is great, good body, strong ability but the price of Upgrade is currently too high even if you replace a creature that would have died to its ability anyway. it's a well designed card, it's just that right now we don't have the "other" cards to play it with. I really hope that we're going to see this card played in the future. I adore this card and its design to no end, but its currently feels too awkward to use effectively. Even in U/T decks where you use Dozer and Thundersaur, fulfilling the Upgrade requirement reliably often requires additional of sup-par cards into your decks, not to mention A/T levelling decks, where the board control could be vital, Upgrade targets are far and few between. Also, the level two has an awkward sized body. I think its good, but Upgrade seems to not fit many decks, great if you can Upgrade it, but it seems only workable with Dozer and Thundersaur or against grow wide which isn't prevalent right now.